Clean and well-organised facilities always outperform their cluttered counterparts. This is especially true when it comes to the management and maintenance of receiving areas. If employees are constantly scrambling to find storage slots or if the receiving area is crowded with storage overflow, you may need to consider revamping or expanding you existing pallet racking system. Following are some of the most common problems in receiving areas along with strategies for eliminating them. The heart of every warehouse is its receiving area. 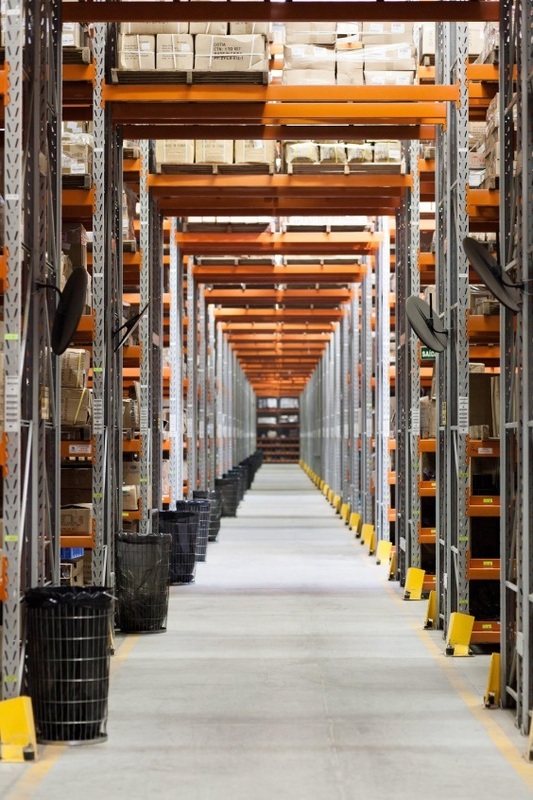 Even if you have a top-tier pallet racking system in place, your facility cannot enjoy an optimal amount of efficiency or safety unless this space is kept free and clear of all unnecessary items. Take stock of the way in which the receiving area is currently organised and make an effort to get rid of any free-standing structures or miscellaneous items that do not add value. Only authorised personnel should be allowed in this space and only those items that assist in expediting the work process should be present. Storage overflow should not hold a long-term position in the actual shipping and receiving area. This can make it impossible for you to receive new products and for forklift operators to unload them. Designate a small amount of space for temporary storage and then implement a system for having this area cleared at regular intervals so that pallets can be integrated into your primary warehouse racking system. Moving items from temporary storage to the main warehouse is critical for protecting high-value goods. The majority of pallets stored in the receiving dock have already been signed for and thus, they are excellent targets for theft. In addition to expediting the rotation of these goods into standard warehouse storage, make an effort to better secure high-value items in receiving areas with security cages or partitions. Restricting access to the receiving area will also make it easier to track missing items and establish culpability for loss. Substantial amounts of floor space can be lost due to the accumulation of empty pallets. In addition to diminishing the aesthetics of your receiving area, empty cartons, collections of packing materials and unused pallets can also compromise safety. One of the most cost-effective solutions to this problem is to make use of the space above dock doors. Over-dock-door racks come in ceiling-mounted and single-leg configurations. They provide a convenient area to quickly stash unneeded items away until these can be returned to their rightful places. The installation of a sturdy over-dock-door racking system can also resolve security concerns regarding high-value items that are being temporarily held in shipping and receiving. Excellent organisational strategies and top-tier warehouse racking systems aside, there is simply no feasible way to maintain an efficient receiving area if you lack sufficient staff. If labour issues crop up, you won’t have enough manpower to shelf empty racks, protect high-value goods and unload pallets as these come in. Try to coordinate major deliveries so that these arrive when a sufficient number of team members are on hand. This is best accomplished by communicating with vendors and creating team schedules according to anticipated arrivals. You can also make use of a quality, labour management system that is designed to support data-driven decision-making in the warehouse environment. 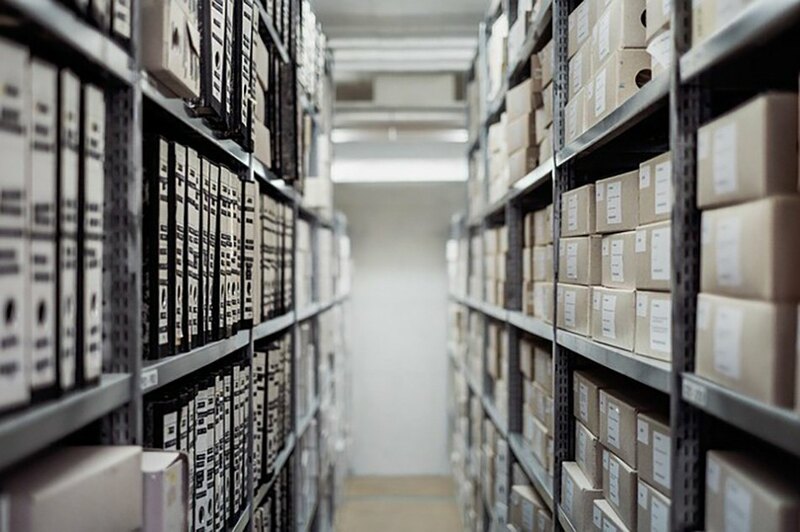 If you’re constantly experiencing problems with clutter, it may be that the available warehouse space has not been divided and allocated correctly. Consider expanding the receiving area or making better use of unused vertical space with over-dock-doors and transformative pallet racking accessories. If you have an insufficiently-sized pallet racking system in your main storage area, preventing the build-up of overflow in shipping and receiving will be challenging to say the least. In this case, you can expand storage capabilities in the main warehouse by securing used pallet racking to add onto or redesign your existing storage system. Maintaining a clean and efficient receiving area is a warehouse best practice that should never be overlooked. 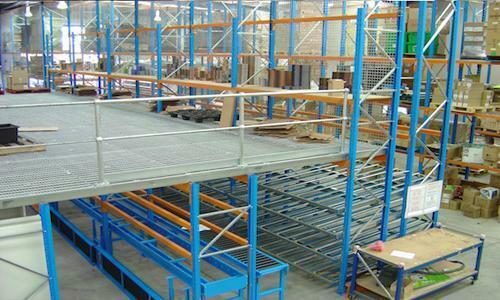 Efforts to organise and de-clutter this space can prevent accidents, injuries and product loss. It can also put your facility on par with the highest performing companies in your industry.